Although the Summer Olympics had cemented itself as a major world sporting event, the introduction of the Winter version was delayed for some time by Sweden, which staged its own very successful Nordic Games, held every four or five years from 1901-26. Also the Summer Games had hosted some winter sports prior to their being a separate Winter Olympic Games. At the 1908 and 1920 summer Olympic Games, the program inclded what are now winter Olympic sports of Figure Skating and Ice Hockey. Organizers of the 1916 Summer Games in Berlin planned to introduce a “Skiing Olympia,” featuring nordic events in the Black Forest, but the Games were canceled after the outbreak of World War I in 1914. Despite the objections of International Olympic Committee president Pierre de Coubertin, an 'International Winter Sports Week' (originally called Semaine des Sports d'Hiver) was held at Chamonix in 1924. 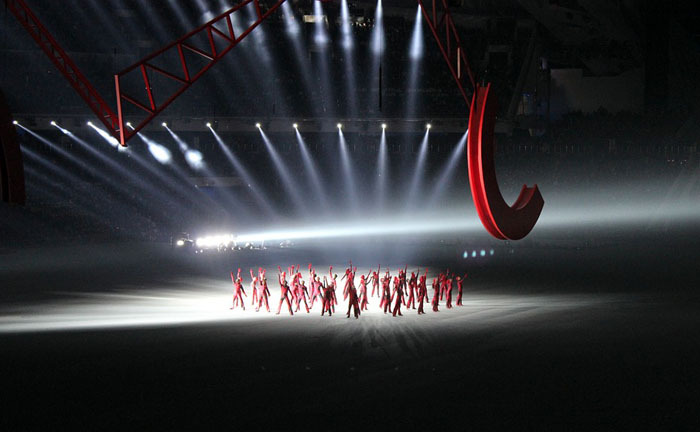 Two years later, this event was retroactively given the status of the first Olympic Winter Games. After the success of this event, even the Scandinavians, who won 28 of the 43 medals at Chamonix, lifted their objections to future Winter Games. Originally, the tradition was to hold the Winter Games a few months earlier and in a different city than the summer Olympic Games. Beginning in 1994, the Winter Olympic Games were held in completely different years (two years apart) than the summer Games (see list of winter Olympic hosts).